The MicroCam Mobile—our compact MicroCam coupled with an FME-compliant mobile extender arm—offers the perfect mix of color imaging, lighting, radiation tolerance, portable monitoring, and long reach. This solution is ideal for monitoring critical equipment and work activities in difficult to reach areas and/ or where dose rates are of concern. This utility tool is a perfect complement to your general operations and ALARA program. A 7” LCD color monitor is integrated into the handle of the mobile extender arm, allowing operators to view the camera’s output without being tethered to remote monitors. 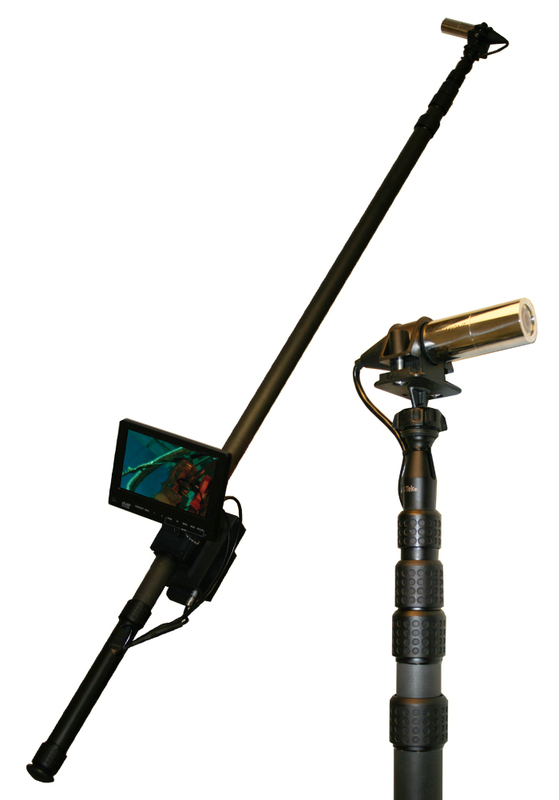 The extender arm uses a reflex system in a quill shaft with an adjustable length of 14’, and with 420 TV-lines of resolution, the MicroCam meets VT-1 standards for inspection. To accommodate looking around corners and other difficult-to-reach spots, the camera is attached via an adjustable bracket to facilitate viewing at multiple angles. A looping video output allows you to view video both locally and remotely, with an option to integrate the signal into your current remote monitoring software. With the standard battery pack, you can use the MicroCam for upwards of 6.5 hours before recharging. The MicroCam incorporates a state-of-the-art APS sensor with impressive picture quality, low-light capabilities, and tolerance to radiation. Equipped with an integrated LED ring, the MicroCam provides an excellent picture in virtually all lighting conditions.